Writing Lives is a final-year module on the BA English degree at Liverpool John Moores University, taught by Helen Rogers. Autobiographies are one of the most important resources we have for learning about the experiences and identities of ordinary – and extraordinary – people in the past. Memoirs have also been one of the most common forms of writing undertaken by working-class authors but many memoirs are never published and few remain in print. The aim of our Writing Lives Blog is to make some of this literature publicly available and to explore its significance for understanding working-class culture and identity. 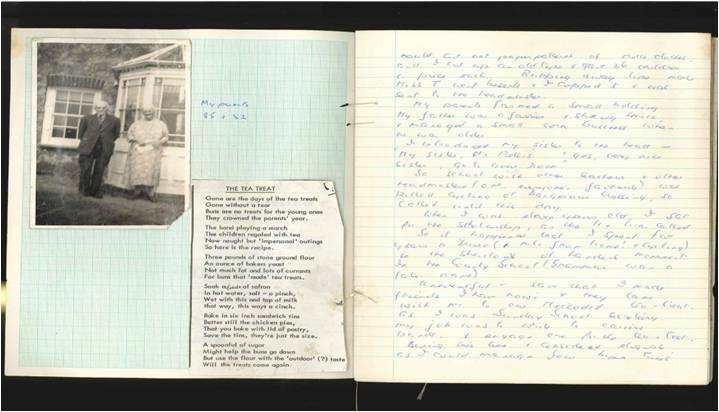 Students have each chosen to work on a memoir from the Burnett Archive of Working Class Autobiographies, held by Brunel University Library. Every week they are writing a post for their Author Blog on an aspect of their writer’s life and memoir such as education and schooling, reading and writing, home and family, labour and identity, recreation and belief, politics and class. At the end of our module we will create an online book. Drawing on their collective research, each student will write a chapter investigating a theme in their author’s memoir and what it can reveal, more generally, about working-class experience and history. Our book will also highlight some of the questions that emerge out of our collaborative research project and suggest new directions for the study of working-class life-writing. We are very grateful to Brunel University Library for allowing us to use about 230 memoirs collected by the social historian John Burnett, who pioneered the study of autobiography. Many of the memoirs were sent to John Burnett following his talks on Radio 4’s Woman’s Hour in the 1960s-1980s. 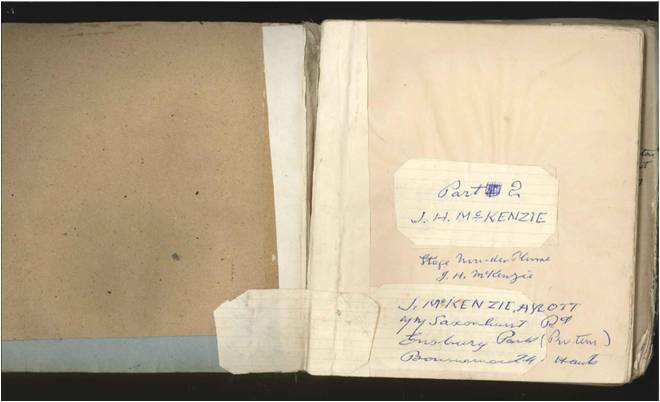 Most are handwritten or typed manuscripts and only a few have been published in full. 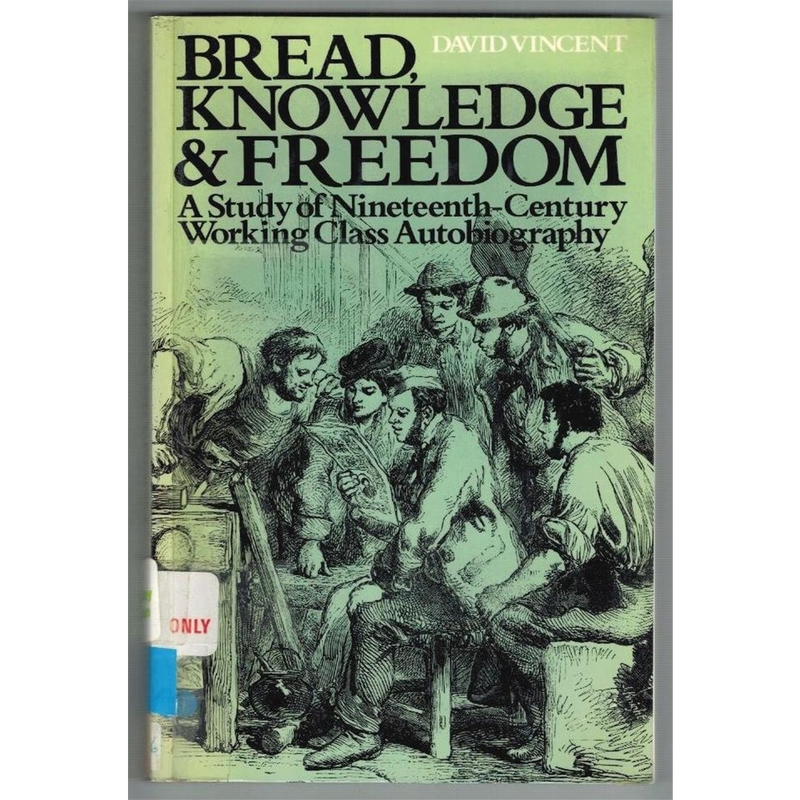 In the 1980s, John Burnett worked with David Mayall and David Vincent to compile The Autobiography of the Working Class: An Annotated, Critical Bibliography 3 vols. (Brighton: Harvester, 1984, 1897, 1989). 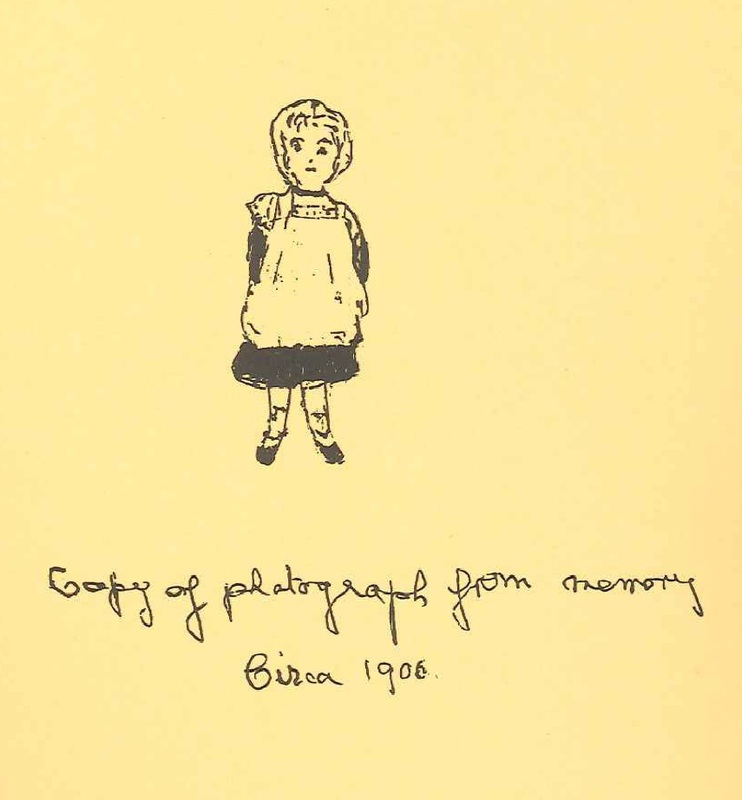 This bibliography provides detailed entries on over two thousand autobiographies, some of which are now available online (see Online Resources for Life Writing). For the last thirty years, the bibliography The Autobiography of the Working Class has been an indispensible tool for historians of working-class life and writing. 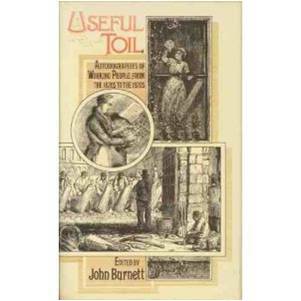 John Burnett used excerpts from the memoirs in his many fascinating books, including: Destiny Obscure: Autobiographies of Childhood, Education, and Family from the1820s to the 1920s (1982); Plenty and Want: A Social History of Food in England from 1815 to the Present Day (1989); Useful Toil: Autobiographies of Working People from the 1820s to the 1920s (1994); and Idle Hands: The Experience of Unemployment, 1790-1990 (1994). Among many of the important works of social history that subsequently have used autobiographies as their main source are Joanna Bourke’s Working-Class Cultures in Britain, 1890-1960: Gender, Class and Ethnicity (1994) and Julie-Marie Strange’s forthcoming book on working-class fatherhood. Studies of working-class reading and writing have been especially indebted to the work of Burnett, Mayall and Vincent. Jonathan Rose’s influential survey of autodidact reading habits, The Intellectual Life of the British Working Classes (2001), could not have been written without their bibliography and nor could Regenia Gagnier’s Subjectivities: A History of Self-Representation in Britain, 1832-1920 (1991) which helped draw the attention of literary scholars to the distinctiveness of working-class autobiography. Both these books acknowledged the importance of David Vincent’s prior work on autodidact (self-taught) writers: his ground-breaking exploration of childhood, family, education and politics Bread, Knowledge and Freedom: A Study of Nineteenth-Century Working-Class Autobiography (1981) and magisterial Literacy and Popular Culture: England 1750-1914 (1989). All studies of working-class life writing face the difficult question, what do we mean by ‘working-class’? Burnett, Mayall and Vincent used the following criteria for inclusion: that the writers ‘were working class for at least part of their lives; they wrote in English; and they lived for some time in England, Scotland or Wales between 1790 and 1945.’ Not all these writers used the term ‘working-class’ to describe themselves; some moved out of poverty or working-class occupations to become successful entrepreneurs, political leaders, and even members of Parliament. Some spoke publicly on behalf of the working class; others wrote privately for their family or simply for themselves. The memoirs in the Burnett Archive provide a very different sample to those examined by Rose et al. Most of the autobiographies we are studying were not written for a public readership. By and large they are by people born in the late nineteenth century or early twentieth century and written between the end of World War 2 and the early 1980s. Half are by women – a dramatic increase on the 1/10 found in the nineteenth-century sample.Though some of our autobiographers were born in poverty and struggled through bouts of unemployment, many profited from the gradual rise in working-class incomes from the 1870s onwards and the growth of mass entertainment and leisure this afforded. Most experienced the gradual expansion of state welfare, following the introduction of compulsory elementary education in 1870, the beginnings of state pensions in the 1900s, and the formation of the NHS and social security system after 1945. But though many acknowledged these developments had materially improved their lives, few were actively involved in campaigns to bring them about. Religion seems to have had a greater influence in the lives of many than politics. How did these changes shape the ways that writers related their lives? Most of the critical examinations of working-class life writing as a genre have focused on autobiographies written during the nineteenth century or in the early twentieth century but reflecting back on the Victorian period. Did authors reminiscing in the mid to late twentieth century write more openly or less guardedly about some aspects of their lives, particularly their emotional experiences? Did they write about their families and communities in new ways? Did they express different concerns and values? Did the new kinds of plots made familiar by film, radio and television influence how they told their life stories? Did they abandon the improvement narrative that structured so many nineteenth-century memoirs? Did class become more or less central to identity in the very different political and cultural landscape of the twentieth century? By sharing our research on individual lives, we hope to start the process of mapping out some of the changes as well as continuities in working-class life writing. These are big questions that we can only begin to ask but we hope that by creating the Writing Lives site we can encourage other people to help develop and participate in our research project. We have been learning about new ways of doing research and, in particular, about how online communities (or crowds) can democratise research by sharing resources, skills and knowledge. On this site we hope to share some of the resources and strategies we have been using to find out about our authors and their lives. We hope some of our visitors may have information and stories they will share with us. Writing Lives is an experiment in online learning and research and in future we will share some of the challenges we have encountered. Our Author Blogs are still in progress but we hope you will come back and see how they develop. The Writing Lives module is linked with the Archive of Working-Class Writing Online project but it has also been shaped by two innovative university modules. The idea of the Author Blogs was inspired by the Corvey Women Writers Project at Sheffield Hallam University in which undergraduate and MA students ‘adopt’ an author from the collection. The idea of writing a public blog was inspired by Jim Mussell’s third year English module ‘Hacking the Book’ at the University of Birmingham. Please contact us if you would like to find out more about the Writing Lives module. We would also like to hear from you if you have resources to add to our site or if you would like to use our material in your own teaching or research. We hope you enjoy our work. Jonathan Rose. 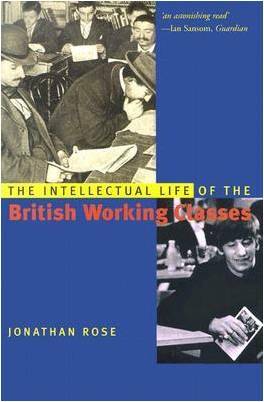 The Intellectual Life of the British Working Classes (New Haven and London: Yale University Press, 2001), p. 2. 2 Responses to "Writing Lives and the Burnett Collection of Working-Class Autobiography"